The National FFA Organization is dedicated to making a positive difference in the lives of students by developing their potential for premier leadership, personal growth and career success through agricultural education. Much more than just showing up at the County Fair, FFA prepares students with a solid background in biology, business, and civics utilizing the latest in technology, representatives from both community and industry, and rewards hard work and ingenuity. FFA classes take place entirely during the school day. Becoming an FFA Officer, participating in projects or attending FFA events may require an afterschool commitment (including school breaks). Transportation may require parent pick-up or drop-off for certain events. 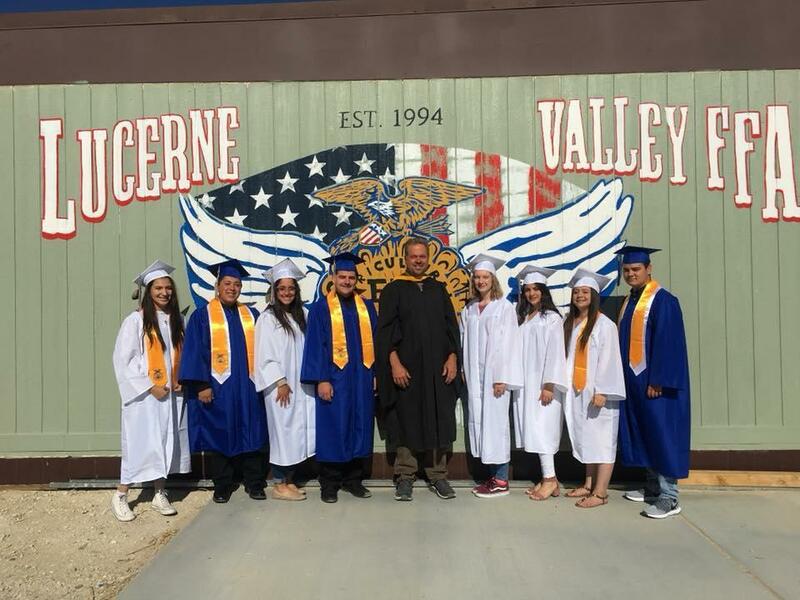 Mr. Van Bavel is shown with graduating senior FFA members this past June.